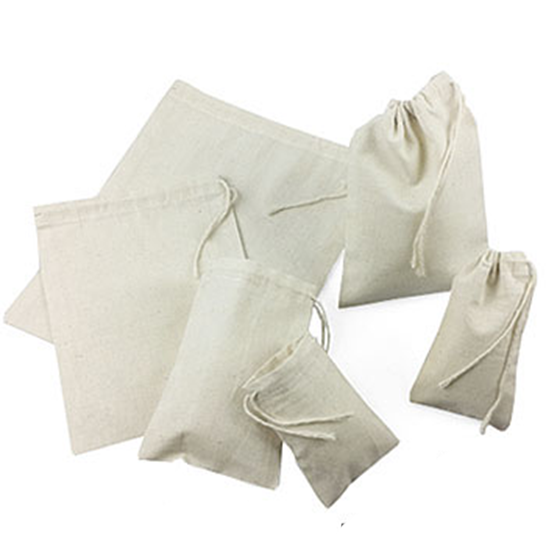 Eco-friendly reusable pouch, made out of 100% cotton. This style has an unknotted side-pull drawstring. Available in 7 sizes. 25 bags per pack.